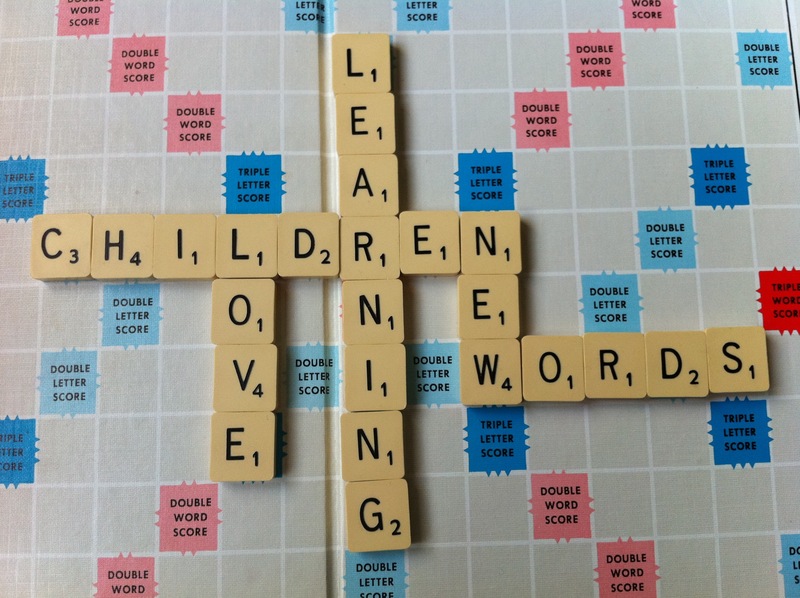 The development of vocabulary is one of the most conspicuous gains in early foreign language learning and children themselves often perceive what they know in terms of learning “lots of words”. In the early stages, the acquisition of vocabulary goes hand in hand with beginning to use unanalysed “chunks” of language. This enables children to interact and participate in activities, and builds up their interest and desire to learn. However, learning vocabulary or ‘knowing a word’ is a complex process which develops gradually and cyclically throughout the primary years, and beyond. This process includes such things as learning the phonological and written form of a word, how it relates to other concepts and words, the way a word can change and be combined grammatically with other elements in discourse, the way it collocates with other words, the connotations it may have, its style and register, its grammatical properties, as well as any specific cultural resonance it may have. 1 We need to think about the status of the vocabulary in our lessons. Is it incidental learning as part of acquisition-rich input that some children may learn and others may not? 2 We need to make sure that the meaning is clear. By visual means: through flashcards, pictures, posters, photos, storybooks, objects. By physical means: mime, gestures, expressions, actions. By using a multi-sensory approach: touching, feeling, smelling, listening, tasting, pointing, walking to …, bringing, fetching, giving and taking. By using technology: IWB, DVD, computer, CD-ROM, TV. By verbal means: explaining, giving a definition of the word, defining the context in which it is used, describing the word, identifying it through its opposite. By translating: eliciting or saying the meaning in the children’s first language (L1). By a judicious combination of any of the above. 3 We need to encourage children to notice the form. By providing lots of opportunities to listen to new vocabulary both in a discourse context (e.g. a story) and in isolation (e.g. a flashcard game). By drawing attention to sounds (vowels, diphthongs, consonant clusters), syllables and stress patterns (either implicitly or explicitly depending on the children’s age). By providing opportunities for children to notice the ‘grammar of vocabulary’ (either implicitly or explicitly depending on the age) e.g. whether a noun is countable or uncountable, the plural regular or irregular etc..
By training children to copy and organize the vocabulary they learn carefully and accurately. 4 We need to provide for the creation of a network of meanings which will help memory processes. By presenting words in contexts which show the connections between them, for example, through stories, topics, themes, situations. By giving children opportunities to group words together in logical ways which develop and extend a network of meanings e.g. webs (e.g. which show from general to specific hierarchies), whole to parts (e.g. parts of a house, body, classroom), cline (e.g. words to describe temperatures from boiling to freezing). 5 We need to provide a variety of opportunities for recognising, practising and using the vocabulary. For example, through a wide range and variety of games, songs, chants, TPR (Total Physical Response) activities, drama activities, word puzzles, crosswords, picture dictations, sorting and classifying activities, sequencing activities, visual observation activities, art and craft. 6 We need to actively help children to develop and improve their memories. By integrating memorisation as part of the design of activities, for example, in memory games, magic word chants, songs. 7 We need to create opportunities for children to extend and develop their vocabulary according to their personal interests and abilities. By giving children opportunities to set their own learning agendas. By creating opportunities for choice and personal decision-making in the vocabulary children learn. By offering options, for example, in homework, research and project work. By training children in reference, dictionary and computer skills. By having available word bags or boxes with words (and pictures), organised either alphabetically, grammatically or based on topics, for independent reference. 8 We need to promote the systematic recording and organization of vocabulary. By making it clear which vocabulary we expect children to record and remember, for example, by writing this in a special section on the board during the lesson. By encouraging the use of vocabulary books which can be organized in a variety of ways, for example, in alphabetical order, according to topics, stories or units of work, or according to grammatical categories, depending on the age and level. 9 We need to recycle vocabulary frequently. By providing regular opportunities for children to meet familiar vocabulary in new contexts. By ensuring that children extend and enrich their understandings and associations of words each time they meet them again. 10 We need to allow for personalisation and ‘ownership’ of vocabulary. By providing opportunities for children to relate the vocabulary they learn with their own feelings, moods, personal opinions, possessions, likes and dislikes, experience at home and school, and beliefs about the world they live in. 11 We need to recognise that different ways of learning vocabulary will appeal to different children. By providing vocabulary input in different ways. By providing varied opportunities for practice. By giving options for recording and revising vocabulary. 12 We need to train children in learning skills and strategies that will help them to develop their vocabulary. By introducing and modelling a wide range of vocabulary learning strategies (metacognitive, cognitive and socio-affective) with the children. By encouraging children to adopt and use the strategies that they feel work best. By teaching dictionary and reference skills in a systematic way. By building in opportunities for regular self-evaluation and reflection on own learning. 13 We need to provide opportunities to use vocabulary creatively. By setting up frameworks for creative activities e.g. writing a shape poem or designing a zoo, which allow children to use (even very limited) vocabulary in creative and personally divergent ways. 14 We need to encourage literacy skills in L1 and in English. By encouraging children to ‘read’ pictures and interpret signs and symbols. By encouraging children to make strategic guesses based on what they can see and what they know. By showing and sharing a love of words, in English and the children’s language(s). By modelling how strategies and skills children use in L1, e.g. for discovering the meaning of a word in a text, can be transferred to English. That’s quite an agenda! It would be great to hear about your experiences of developing children’s vocabulary as well as any comments or things you’d like to add. Note: This post is an extension of the introduction to the section on ‘Vocabulary and Grammar’ in Read C. 500 Activities for the Primary Classroom Macmillan Education, 2007, where you can also find a range of practical classroom activities to develop children’s vocabulary. Very interesting – as a “beginner” teacher trainer this is very useful for me and my group. Thanks !! Hi Helen – many thanks for writing. So glad it will be useful for your teacher training. And please do write again if any further thoughts arise after sharing with your group. Thanks for excellent post. I always enjoy reading your blog. I try to adopt as many of these methods as I can when I teach. What a great summary of what we need to do! As a teacher, teacher trainer and materials writer I totally agree with all the ideas, which provide an excellent springboard for thinking about the “how”s in teaching, you highlighted. I was especially glad to read about the importance of encouraging literacy skills in L1 and English, and developing cognitive skills as a lot of language teachers seem to disregard them, and think that this is “not part of language teaching”. Your post reassured me in my belief that it should be part of our teaching children. Love your blog, Carol! Thank you. Thank you for your post. I really try to use so fantastics and usefull ideas.